Online slot machines have always been one of the most popular casino games played online. Aside from roulette and blackjack, slot games are the pinnacle of online gambling and since the growth of the Internet, gambling online has rocketed and opened doors to endless possibilities for slots players, online casinos and software providers In light of this, the demand for slots has increased tenfold and people want new release slots all the time and favour playing with games they have an interest in. In 2018, there are many software providers working to create the latest slot machine games in themes that people love and are familiar with. Slot machine themes include; sports, animals, cartoons, computer games and movies. However, movies and films is one particular category that stands out from the crowd and is one of the most sought out themes of slot machine games. Movie themed slots include some of the most exciting slot machine games that are great to play and feature unique bonus rounds that keep players gripped. Gambling software providers work hard to obtain licenses from movie organisations so that they can create games to suit peoples tastes, based on the latest movies with some classics thrown in too. Once a license is obtained, the provider can then legally use official merchandise, images, symbols and animated sequences to put together exciting movie slot games for enthusiasts to enjoy. 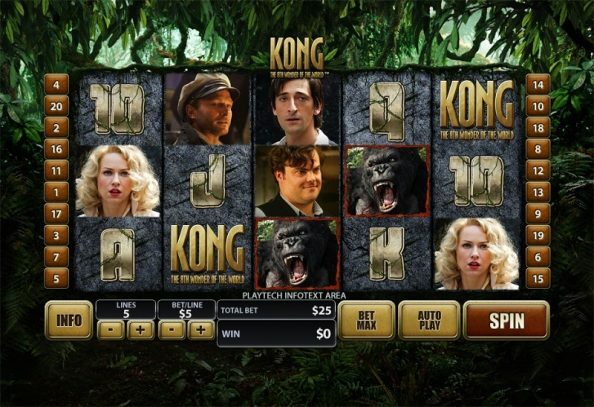 Two of the biggest software providers of movie themed slots are; Playtech and IGT. IGT are responsible for bringing players great movie slots such as Ghostbusters, Sherlock Holmes, Avatar, Bridesmaids and Jurassic Park. Playtech titles are primarily dominated by superhero movies since they hold the license for creating Marvel themed slots including; Captain America, Avengers, Iron Man, Hulk and Wolverine. However, it’s not just Marvel slots where Playtech excels. They are also popular for producing other movie themed slots such as Blade, Superman, The Dark Knight and the world famous Rocky – based on the Italian Stallion himself; Rocky Balboa. Below we look at 10 of the most popular movie themed slot machine games across a variety of gaming providers. Lord Of The Rings slot is a 5 reel slot machine based on the famous movie franchise. The game features 243 payline combinations that can trigger a win with free spins bonus available, which can also be triggered on any single spin. Although players cannot select the number of lines they wish to play, they can adjust certain options such as coin value and number of coins per game round. 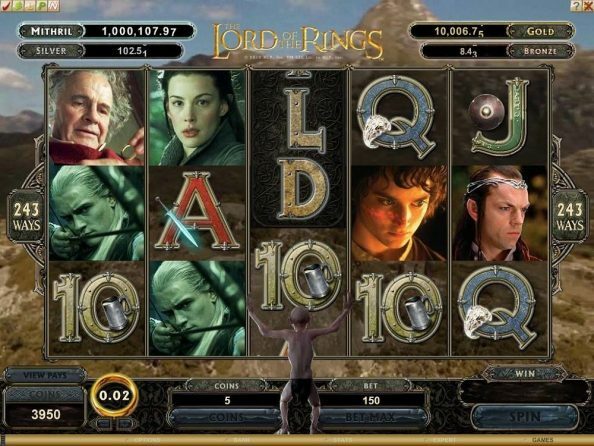 When players load this game, they are presented with a standard video slot interface containing 3 rows and 5 reels, with symbols based on the movie on them, including; Arwen, Legolas, Aragorn, Saruman, Frodo, Pippin, Sam and other notable characters. Other game graphic symbols worth noting are the Wild and Scatter symbols, which are represented by the LOTR logo and Eye of Sauron respectively. 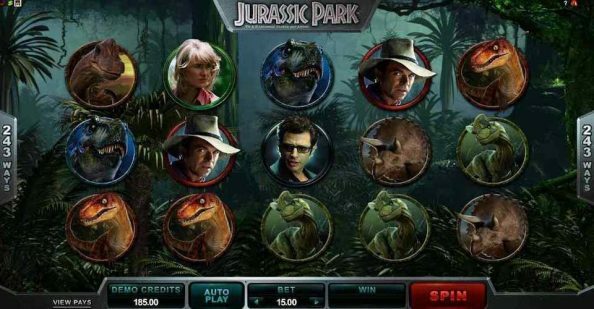 Jurassic Park slot is a 243 payline slot machine with 5 reels, free spins and a unique JP themed bonus round. 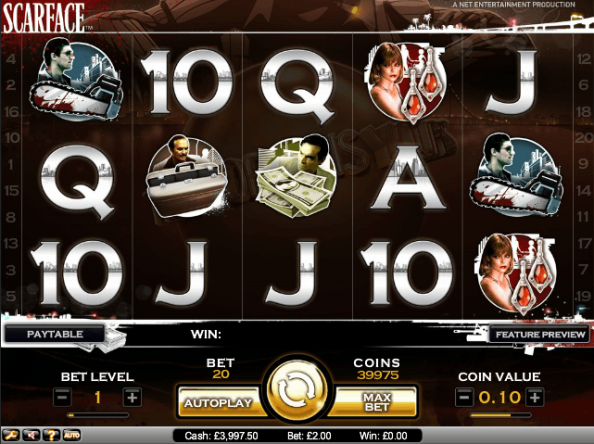 The game offers fantastic slots action in the theme of the hit movie series with reels packed full of branded symbols, including the movie logo and characters Grant, Ellie, Malcolm and Hammond. When a player triggers the unique bonus round, they have the opportunity to win free spins and multipliers. Scarface is probably one of the most famous crime / gangster movies worldwide, which features Al Pacino’s character; Tony Montana – a drug lord. Although the movie was released in 1983, it still plays a prominent part in a global audience, and it came as no surprise when Netent released this fantastic slot machine based on the movie. 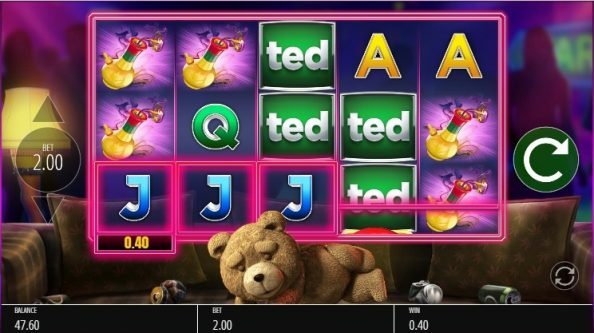 The slot machine is a 5 reel slot with bets from as little as 2p. It features unique bonus rounds and free spins that keep players entertained both short and long term. 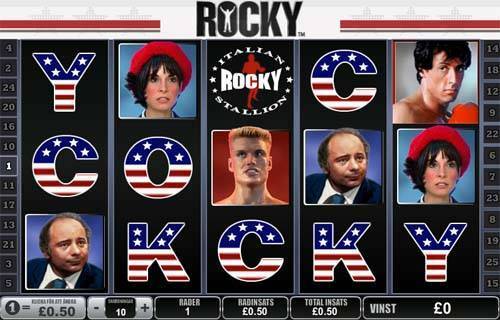 Rocky slot is a 5 reel slot machine game with 25 paylines. The game was created and licensed by Playtech – one of the leading game providers of slots and casino games. You’d have had to have lived in a cave all your life to not know the story of Rocky. And this fan favourite is a hit with slot enthusiasts worldwide. As you’d expect the game has a boxing theme and features symbols from the hit movies, including Rocky Wilds. The game is known for huge top prize payouts and big maximum stakes. Hasta la vista, baby! 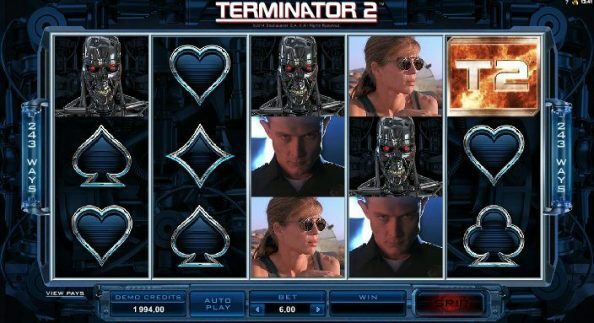 This famous slot machine is an excellent game based on the famous sequel Terminator 2. The game has themed bonus rounds and free spins that can be won throughout the game – with over 1000 ways to win. As with most Microgaming titles, the game has 243 paylines, which are played automatically on a per spin basis. Use the Wilds and Scatters for bigger wins and more payouts with reel symbols including; The Terminator himself, Sarah Connor, John Connor, T-1000 and Dr Silberman. Who you gonna call? 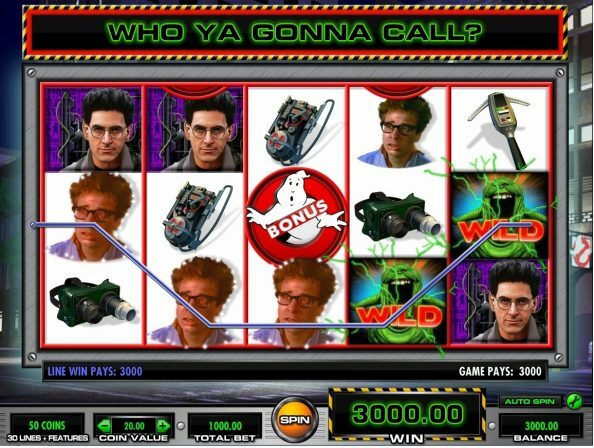 Ghostbusters slot! – for action packed slot machine action like no other. Fans can enjoy this feature rich slots game containing 5 reels and 30 paylines with huge maximum bets of 1000. This fun movie hit slot offers unrivalled gaming with unique symbols featuring characters from the movie, including the famous Slimer. On Ghostbusters slot, there are a total of four bonus rounds that players can trigger at any point during the game. The one that stands out most is the fun round of shooting a hiding Slimer from various places on the screen to collect cash prizes. 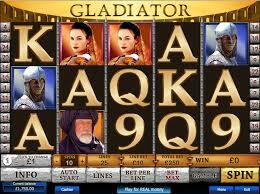 Gladiator slot, based on the movie featuring Russell Crowe and Joaquin Phoenix, is a 25 payline slot with 5 reels and a massive maximum bet of 1250. Playtech developed the game following the success of the movie and they did not disappoint. It features unique bonus rounds, spot prizes, free spins and multipliers to sink your teeth in to. Unless you were born yesterday, you will have undoubtedly heard of King Kong – the famous ape. This game by Playtech is a 5 reel, 20 payline slot machine with symbols matching the movie characters and more bonus rounds than you can shake a stick at. Known for its regular payouts, the unique bonus rounds provide players with more chances to win than many other online slots. Grab your thunder buddy and bring out your laptop for some teddy-tastic fun game play, based on the hit movie ted. Blueprint Gaming have hit the jackpot with this bonus rich slot, which features 5 reels and 20 paylines – with many opportunities to trigger any of the many bonus rounds. With a whopping 200 max bet possible, players can win 500 times their stake amount! When it comes to hit movies, there’s not many where the villain outshines the hero. However, this one does things differently and features the late Heath Ledger as The Joker. The game stands out, not only for its movie success and nostalgia, but the fact it contains 6 reels instead of the standard 5. There’s also a massive 50 paylines and bets from as little as 20p, providing many opportunities to trigger free spins or any of the themed bonus rounds. 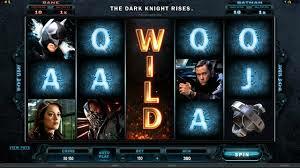 The Dark Knight is known for being a progressive slot on the Playtech network, whereby players can win life changing sums of money in a pooled jackpot. When it comes to slot games based on movies, you’d be hard pressed to narrow down the selection as we did. There are just so many titles both old and new that hit the casinos regularly. And with the rise of mobile gaming the demand for mobile slots is rising. People not only want to play their favourite movie themed slot games, but they want to play them on the move. Other famous hit movie slot titles (that narrowly missed the top 10 cut) include; Fantastic Four, Tomb Raider, Daredevil, Batman, The Mummy, Hitman and Spider-Man. For as long as movies are released and the demand is there, gaming providers will continue to release slot machine titles based on movies.